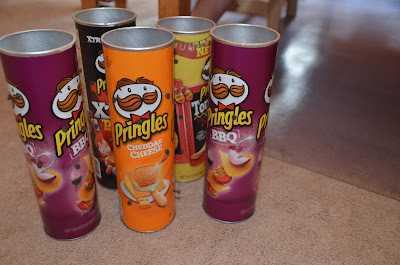 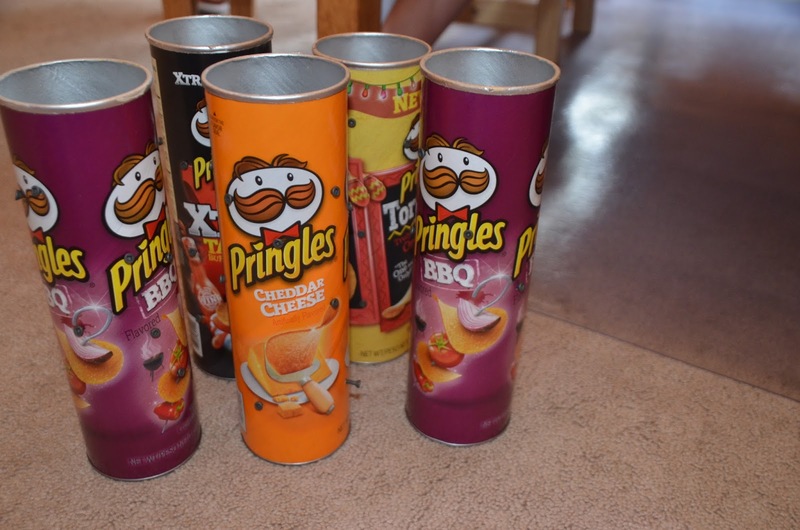 I took empty Pringles containers and punch nails in them randomly. 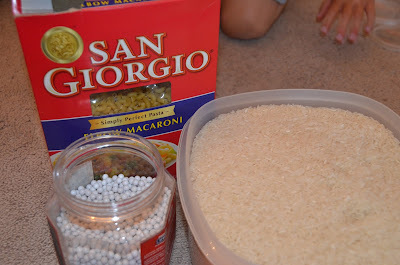 Then the kids added dried noodles, rice and air soft pellets. 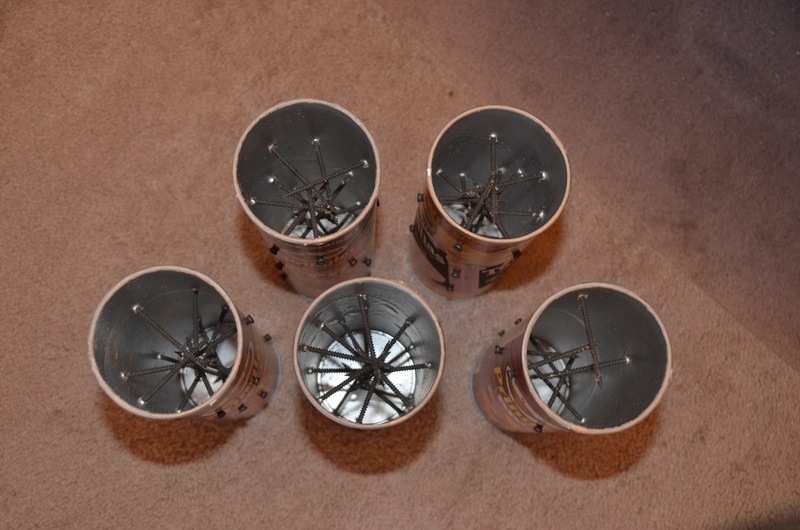 (You don't have to use the the air soft pellets. 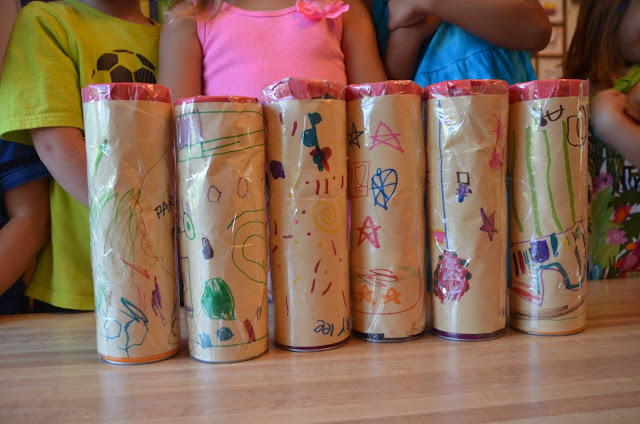 The kids made designs on a piece of construction paper. 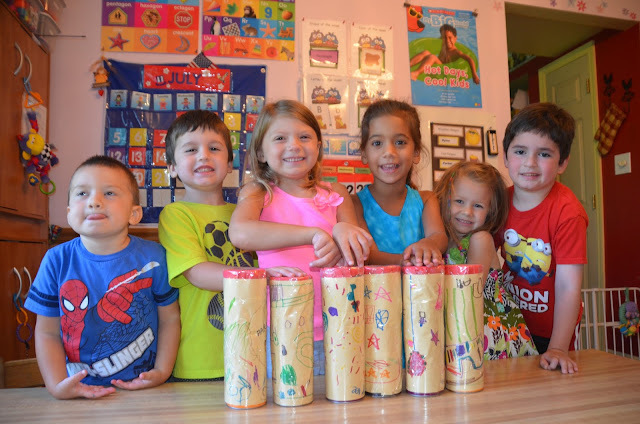 We wrapped them around the containers and taped the paper for reinforcement.